Denver has five top-tier Jewish schools - Beth Jacob, Denver Academy of Torah, Denver Jewish Day School, Hillel Academy, and Yeshiva Toras Chaim. Sadly, these schools are often under-funded, and parents increasingly must struggle to afford Jewish day school tuition. As 2012 drew to a close, hosts Maxwell and Dean Rotbart shared two of their ideas for solving the day school tuition crisis without raising rates, refusing students, or turning to government funding. How is this possible? Hear the full show online now by clicking here. We invite you to share your thoughts on how to best fund Jewish day schools. Email: radiochavura@gmail.com or phone 1-855-JEWISH-4. Also known by its Hebrew name, "Bais Yaakov," Beth Jacob High School of Denver is one of the best exclusively-female Jewish schools in the country. 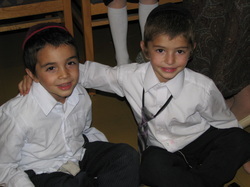 The school, under the direction of Rabbi Myer Schwab, Mrs. Bruria Schwab, and Mrs. Esther Melamed, prepares its students to live a Torah-observant lifestyle and to create Jewish homes in a secular world. Since 1968, it has graduated over 800 students, many of whom have gone on to successful careers and become well respected (and much beloved) women in their communities. Founded in 1993 by a group of parents seeking to find a balance between religiosity and modernity, the Denver Academy of Torah is an accepting community of friends and neighbors that consistently strives for the best in education. With the dedicated leadership of Dr. Peggy Kasloff, and Mrs. Naomi Lev, DAT instills in its students a love of Torah, a love of Israel, and a love of learning. 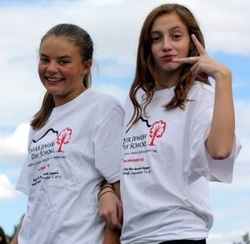 With around 150 students in grades K-12, DAT is an intimate school that inspires menschlekeit and academic excellence. Originally two schools - Theodor Herzl Jewish Day School and Rocky Mountain Hebrew Academy, both founded in the 1970s - Denver Jewish Day School is now the largest Jewish school in Colorado. As an egalitarian school, Denver JDS is appeals to students of all educational backgrounds - providing both a Jewish and secular education, while emphasizing the ideals of Zionism. With state-of-the-art science facilities, a full Judaic library, and newly-built gymnasium (adjacent to an outdoors baseball field), Denver JDS students enjoy many of the finer aspects of similar secular schools. Headed by veteran educators Avi Halzel, Elana Shapiro, Bryan Hay, and Rabbi Mark Goodman, Denver JDS is a wonderful K-12 school with a devoted team of parents and teachers. As Colorado's oldest Jewish school, Hillel Academy of Denver's K-8 academics have produced some of the finest leaders of our community and Jewish children who are proud of their heritage. With boys and girls classes held separately from early on, Hillel Academy works with each individual student to foster an appreciation and love of Yiddishkeit and Jewish tradition. Hillel Academy is a school where students return to teach, and where grandparents and grandchildren walked the same halls as students. Leaders Mordechai Hoffman and Rabbi Yitzchok Goldstein demonstrate the importance of maintaining strong foundational values to secure our place in a changing world. 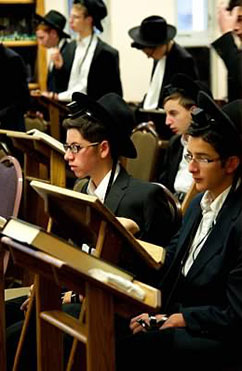 Young men from all around the United States travel to Denver to study at Yeshiva Toras Chaim, which offers a full array of secular and Judaic studies to its high school students. 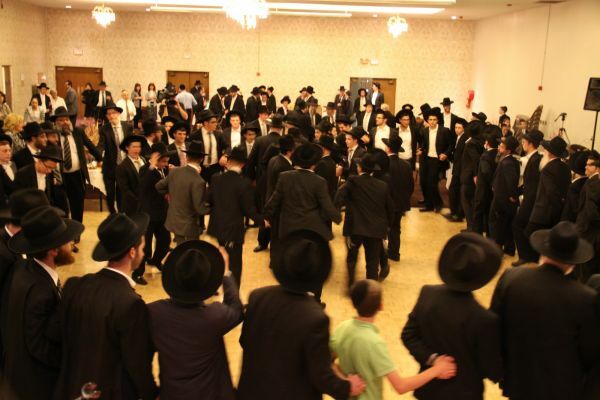 With graduates going on to become leaders in their respective professions, be it medicine or the rabbinate, YTC students can always be counted on to be role models for society. YTC, founded in 1967, is lead by HaRav Yisroel Meir Kagan, HaRav Yitzchok Wasserman, and Dr. Daniel Peckman. The Jewish Student Connection: Directed by Rabbi Michael Sunshine, the JSC works to help students in public schools maintain a connection to their Jewish heritage (and a healthy appetite for Kosher bagels and lox). Chapters are at East High School, Denver School of the Arts, Denver School of Science and Technology, Cherry Creek High School, George Washington High School, Mountain Vista High School and Niwot High School. Contact JSC at 303-818-9512. Colorado Agency for Jewish Education: Directed by Phyllis Adler and Yael Weinstein, CAJE offers classes to high school students and adults on every topic under the sun - from a Jewish perspective. Be it philosophy or rock 'n' roll or the Arab-Israeli conflict, CAJE works to bring Jewish thought and a love of learning to anybody and everybody in Colorado who wants to grow and study. Contact CAJE at 303-321-3191. The Denver Community Kollel: Directed by Rabbi Aron Yehuda Schwab and Rabbi Sachne Sommers, the Kollel is Colorado's advanced Torah study institute, providing guidance and instruction to children and adults of all educational backgrounds and interest levels. The entire Kollel family is warm and accepting - all community members are encouraged to join. Contact the Kollel at 303-820-2855. The Jewish Experience: Directed by Rabbi Ahron Wasserman and Rabbi Raphael Leban, the JE provides learning and social opportunities for unaffiliated Jews of all ages. With programs that range from Bar/Bat Mitzvah preparation to the post-baccalaureate level, the JE will have programming that is appropriate for individuals or for an entire family. Contact the JE at 303-316-6412.